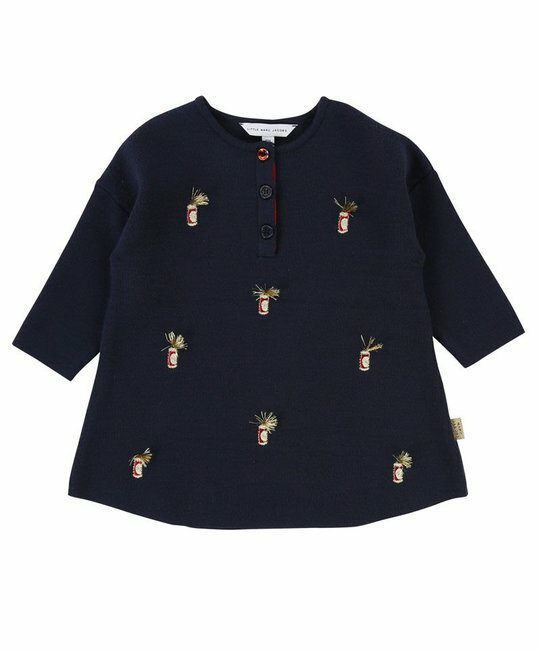 Little Marc Jacobs navy knitted dress with front button fastener, crystal red button, allover embroidered spray with lurex yarn and MARC JACOBS woven label. 72% Viscose, 28% Polyester. Imported.